"Working with Christine was ridiculously comforting as a first time home buyer. We had heard horror stories and opinions of all the stress that comes with looking, settling, etc. Christine made every step of the process easy. She never pressured us on a house, she never made us feel like we HAD to buy, and she was always completely realistic, even more so as she got to know us and what we were looking for in our first home. From the second we found our house, we never felt like we were worried, stressed, confused. It was all because Christine helped us understand every aspect of the buying process, provided a timeline for us to complete the tasks necessary, and she worked hard to make sure we were being treated fairly and getting what we wanted. Christine was recommended to us from our close friends, and we would 100% recommend her to our friends and family." "HIGHLY RECOMMENDED! I wish every agent were as good as her. Christine is very resourceful and proactive! She is very good at anticipating needs, while responding accordingly. She uses several listing venues which more than cover every possible real estate search engine. She will even go the extra mile to help stage the home for the best possible showings and pictures. The market in Frederick, MD is very competitive. She was able to get us nearly our full asking price with no closing help on our end. Similar homes in the neighborhood were being sold for less and had several thousand dollars in closing costs paid by the seller. Her market research is phenomenal! Every time the market changed, she was on top of it, making recommendations to change pricing accordingly. Again, if you want a top quality agent, she is the one...and only to use." "Christine is truly awesome. She put my townhouse on the market on a Sat. morning. By Sun. evening, a promise of an offer had come in. By Tue. night, the offer was signed and ratified. I was so relieved and grateful. I was able to move out of and settle on my townhouse on Thu., then settle on and move into my condo--which she helped me find and buy--on Fri. It does not dovetail any cleaner than that! Everything went amazingly smoothly. I was able to avoid paying 2 mortgages; my townhouse did not languish, empty and unprotected, on the market with all of the risk that involves; my bid on my condo was accepted and the seller agreed to all repairs; and I got the chaos of disruption of moving out and moving in accomplished quickly. I am loving my beautiful new condo! Christine knows her craft, and she took every one of my bazillion questions in stride. Christine is the best! Thank you, Christine!" "Christine Hersey is the realtor you should choose if your are buying, selling or renting your home. I have bought and sold multiple properties with Christine and we have worked together for over fourteen years. I was relocated to Maryland from New York and Christine provided a much needed education on the marketplace and the options that I had. She will stand by all that she says and will become a partner for the long term. On this last transaction I was business traveling during the sale of my home and Christine went above and beyond to make sure it was as stress-less as possible and the timeline she provides help keep all on track. Thank you again Christine!" "Choosing Christine as our realtor was the best decision we made during our recent move from Frederick to Montgomery County. Christine was available and prepared every step of the way, from the initial discussions on pricing our home of 5 years all the way through planning and preparing for sequential closings. We've worked with other realtors in the past, but none come close to the quality of analysis and level of practical advice that Christine provided. Some parts of selling and buying a home can be stressful and maybe a little overwhelming, but Christine's vast expertise and enthusiasm made navigating the process so much easier." "Buying or selling a home is incredibly stressful. Christine was a calm and reassuring presence as my wife and I bought a new home while selling our current home. She took the time to walk us through all of our options, provided honest feedback, and had referrals for every type of home service you could need. She helped us find and secure our dream home and our family loves our new house and neighborhood. We won't be moving for some time, but if we need any real estate guidance she'll be the first person we call." "Christine's preparedness, dedication, and work ethic were evident from the very start during our agent interview process and she continued to impress all the way through our buying and selling process. She spent a lot of time showing us homes until we found what was right for us. Christine was ready with an answer to all of our questions throughout the process and if she did not have an answer she put in the leg work to find out the information we needed to make a decision. We would not use any other agent in the future for our real estate needs." "Christine helped us find and purchase our first single family home and also helped us sell our current townhouse. She went over and beyond for us and we are forever grateful. Thanks Christine!" "Christine was referred to us by my parents who had recently worked with her on the selling and purchasing of their homes in 2014. So when my husband and I were ready to move, we knew Christine was our realtor. Having small children it was important that we find a safe and kid friendly home to raise our boys into adulthood. Christine was extremely knowledgeable about what to look for while touring the homes. Buying and selling at the same time and on a vacation during a portion of the time, the process could be overwhelming. I fully trusted her and knew she was working her hardest for us. Our house sold extremely fast and we were nervous and excited. Once our home was under contract, it was time for Christine to help us purchase our dream home. She is not like most agents; she looks at you more than a number. We were a family with 2 small children. We mattered to her! She is accessible at all times and will do whatever she can to make the dream house possible!! We are now 2 months in our new home and could not be happier. I would like everyone who reads this review to know how truly thankful we are for Christine. She is a genuinely caring person and has the experience and dedication to make your dreams come true as well." 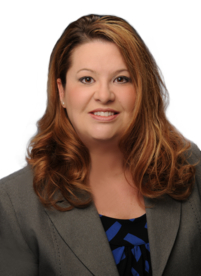 "I highly recommend Christine Hersey for your real estate needs, whether buying or selling. She was exceptional in her commitment to my unique needs in selling, as well as coordinating with the buyers’ agent during the entire process. Because of her attention to every detail of the listing, my house had an offer/buyer within 5 days. At 69, I appreciated someone to guide me through every step, even though I’ve sold 9 houses in the past. I never had an agent as personally attentive and totally committed to the sale of my house as Christine; find out for yourself." "Christine Hersey is an exceptional Agent and much more. Over ten years ago I was getting ready to sell my house, and Christine was recommended to me by a friend. Since then, Christine has been my agent for the buying and selling of two homes and I have recommended her to family, friends and colleagues. She never disappoints! Christine’s knowledge, patience and personality are calming and helpful, and she goes out of her way to make a stressful situation as easy and manageable as possible. Plus provides gentle reminders and guidance as you are going through the processes. In addition, anyone Christine has recommended to me for other services have been fantastic." "Christine is the by far the best agent we have ever worked with-hands down! Her knowledge of the real estate market is second to none, and she was always available to help with any concern or question we had during the process of selling our house. Christine marketed and sold our house while we lived out of state. She went above and beyond, helping us accomplish this. We are so grateful to have had such a competent, organized, and helpful agent on our side during the process. Christine is simply the best!" "Five Stars!! Christine Hersey is an exceptional realtor who will go above and beyond to help you buy or sell a home! She is friendly and professional at all times and truly made the home buying process go very smoothly for me. I highly recommend Christine to anyone looking to buy or sell a home!" "I would highly recommend Christine Hersey to anyone who is in the market for buying/selling a home. She was our realtor for both. She is extremely professional and has a great deal of knowledge regarding the real estate market. She will answer any questions that you have in a prompt and timely manner and treats all clients with the utmost importance." "Christine makes her clients' hopes, needs, and concerns a priority. In addition, she is extremely knowledgeable, detail-oriented professional who always follows through. You can count on Christine!" "We've had an excellent experience with Christine. She understood what we were looking for and importantly for us enabled us to spend as much time as we needed looking at places. She helped and supported us through all the stages of the process. We would use Christine's services again if needed and recommend her without reservation." "Christine is superb in every way! She is by far the best realtor I have had the pleasure to work with. Christine responds, literally, within minutes to every request I have ever sent her (there have been many, believe me!) I know for a fact that if it were not for her follow-up and follow-through my husband and I would not be in the real estate position that we are today. Christine helped us to buy our first home five years ago and is helping us buy our fifth home now, which will close next month. She has taught us so much and continues to teach us still. Christine is extremely thorough with a keen eye, and has a real instinct and feel for real estate. She is an asset to the profession and I will never ever go with another realtor. I have referred her to several friends who she has also helped to purchase and sell properties, and they feel the same way that I do. Do yourself a favor and call her today- you won't regret it!" "Christine is persistent, hardworking and a true professional. She is a warm and genuine person who looks out for your interests. As a first time home buyer, she helped us find our perfect first home. She thoroughly explained the process and answered any questions we had. We highly recommend Christine to anyone." "The service Christine provided was priceless. Our entire home selling experience, from start to finish has been as smooth as we could have ever hoped for. Her professionalism, personality and know how were key to the sale of our home. We have, and will continue to recommend her to friends and neighbors."